Featuring Early Learning Champions Assemblymember Kevin McCarty and Giannina Pérez, Senior Policy Advisor for Early Childhood to Governor Newsom. Early Edge California presented a panel discussion with experts and leaders in the field to learn about the key elements of a high-quality Early Learning system. This was a follow up event to Early Edge’s December 2018 East Coast Early Learning tour led by Assemblymember McCarty and California State Superintendent of Public Instruction Tony Thurmond. Anna began her career in early childhood in 1993 at NCDCDEE in various roles including coordinating the work of the Division in conjunction with the Director as well as collaborating with State and local partners regarding activities, initiatives and ongoing work to support the early care and education field. 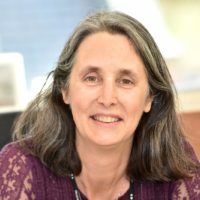 Anna has worked extensively in North Carolina on statewide initiatives such as the initial design and subsequent revisions of the 5 Star Rated License system, the implementation of NC Pre-K when it was transferred to NCDCDEE from the state Department of Public Instruction, and the development of the application that was submitted for the Race to the Top Early Learning Challenge grant. Anna has a long history of contract development and management, rule and statutory development, and policy development and implementation. In 2013 Anna left the Division and accepted the role of President at Child Care Services Association (CCSA) in Chapel Hill. This agency provides free referral services to families seeking child care, technical assistance to child care businesses, and educational scholarships and salary supplements to child care professionals through the T.E.A.C.H. Early Childhood® and Child Care WAGE$® Projects. Anna left CCSA in June 2017 to return to NCDCDEE as the Director. 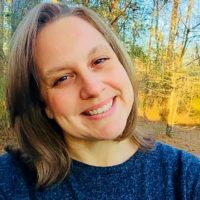 Anna received her Masters in Social Work from the University of North Carolina in Chapel Hill and her Bachelors Degree from Occidental College in Los Angeles. Joy Winchester is the Director of the Office of Early Childhood Development and Professional Support with the Alabama Department of Early Childhood Education. In Joy’s current role, she oversees a team of 26 coaches who work with childcare and family childcare providers in the areas of curriculum, challenging behaviors, and family engagement. In addition, she heads the SELF (Social Emotional Learning Foundations) team which serves the Alabama First Class Pre-K classrooms to support classrooms in managing challenging behaviors, supporting classrooms in implementing SEL tools such as Conscious Discipline, Devereux system, and the Pyramid model. Joy Winchester provides professional development to parents, teachers (childcare, family childcare, Head Start, First Class Pre-K , K-12, education college students), and community organizations on topics such as trauma-informed practice, understanding behavior through brain science, and strategies for handling challenging behaviors. With over twenty years of experience in the field of ECE, she is passionate about bringing power to the profession and working with all stakeholders to support the most vulnerable. Albert Wat is a Senior Policy Director at the Alliance for Early Success, where he supports the organization’s strategy and goals for early education, including increasing access to high-quality Pre-K, improving the early learning workforce, and enhancing alignment with K-12 policies. Before joining the Alliance, Albert was a Senior Policy Analyst in the Education Division of the National Governors Association Center for Best Practices, where he helped governors’ staff and advisors improve their early care and education policies, from early childhood through third grade. Before NGA, Albert was the Research Manager at Pre-K Now, an advocacy campaign at the Pew Center on the States, where he authored a number of policy reports, managed research activities for the initiative, and provided analysis and information about the latest pre-k and early education research and policy developments to Pre-K Now staff and its network of state partners. In 2014, Albert served on the committee of the Institute of Medicine’s study on The Science of Children Birth to Age 8: Deepening and Broadening the Foundation for Success, which released the report, Transforming the Workforce for Children Birth Through Age 8: A Unifying Foundation in April 2015. He also serves on the board of the Council for Professional Recognition. Albert has worked with schools, school reform nonprofits, and community-based organizations in the San Francisco Bay Area, southeastern Michigan, and Washington, DC. 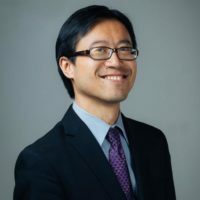 He holds a bachelor’s degree in psychology and a master’s degree in education from Stanford University and a master’s in education policy from George Washington University. Lea J.E. Austin is Co-Director of the Center for the Study of Child Care Employment at UC Berkeley. Lea knows that the preparation, working conditions, and compensation of early childhood educators matters for their own well-being and are inextricably linked to the quality of early care and education services for children. Thus, Lea is committed to achieving public policies and investments that support an early care and education system that is effective and equitable for children and their teachers. Lea conducts research and analysis focused on early childhood educators and has more than 15 years of extensive experience in the areas of workforce development, early childhood leadership competencies and curricula, and public policy and administration. 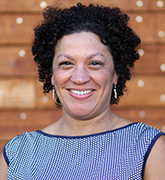 Her specific interest in securing access and opportunities to leadership and decision-making roles in the field for early educators of color were spurred by her work with Mills College in Oakland, California, and First 5 Alameda County (California), where she developed leadership programs in higher education and community settings and implemented a professional development initiative focused on attainment of college education. She is a co-author of the Early Childhood Workforce Index (2018), What does good child care reform look like? (2017), California’s ECE Workforce: What We Know Now and the Data Deficit That Remains (2018), and numerous other research and policy papers focused on the preparation, working conditions, and compensation of early educators. Lea earned a master’s degree in Public Administration from California State University, Hayward, and an Ed.D. in Educational Leadership from Mills College. 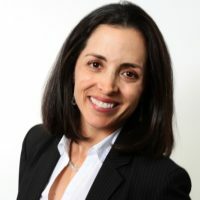 Prior to joining Early Edge California, Patricia served as a senior program officer at the Bill & Melinda Gates Foundation and worked on their national early learning strategy. In California, Lozano has spearheaded projects at UCLA’s Center for Improving Child Care Quality, First 5 LA, and the RAND Corporation, and developed research and evaluation projects to find evidence-based best practices for teachers to work with dual language learners. As a former teacher and associate director at a child development center, Patricia is passionate about supporting the needs of early childhood educators and improving quality for young children. She holds a Bachelor of Arts from Los Andes University in Colombia and a Masters in Psychology (M.A. ), Child Development Concentration, from California State University, San Bernardino. What does good child care reform look like?